Nearly 800,000 people in the United States have a stroke each year. Stroke is the fourth leading cause of death and the nation’s leading cause of disability. While the majority of individuals who have a stroke are over the age of 65, surprisingly nearly 25% are younger. Reducing risk factors and being aware of symptoms can be an important line of defense for prevention. A stroke is caused by severe restriction or loss of blood flow to the brain, depriving the brain of oxygen. In a seemingly “short” time period (as little as four to five minutes), oxygen deprivation can result in memory loss, difficulty talking or swallowing, muscle loss, paralysis or even death. The clot breaks off from a blood vessel in another part of the body (often the heart), travels to the brain causing a blockage, which is called an embolic stroke or embolism. The blood clot forms in an already narrowed artery, which is called a thrombotic stroke. An aneurysmis a swelling of a weakened area of a blood vessel. If not treated, it may continue to weaken until it ruptures and bleeds into the brain. An arteriovenous malformation (AVM) is a cluster of abnormally formed blood vessels, which can rupture and cause bleeding into the brain. These occur in less than 1% of the general population. In many cases, there are warning signs. A transient ischemic attack (TIA) is sometimes called a “ministroke” or “warning stroke.” A TIA is a brief episode of symptoms lasting less than five minutes. TIA is caused by a clot; however, rather than a prolonged lack of blood supply, a TIA is temporary. After the clot dislodges and moves on, blood flow is restored and there is little to no permanent brain damage. A third of those who experience TIA will eventually have a stroke, usually within a year if symptoms are ignored or left untreated. TIA is an important warning signal to seek prompt medical attention. A stroke is a major medical emergency. Swift medical treatment is critical for survival and recovery. Genetics, age, race and gender play a role in the risk for stroke. Risk is higher if a parent, grandparent, sister or brother had a stroke. Chances almost double for each decade of life beyond age 55. African Americans have a higher risk than Caucasians. Stroke is more common in men than women, although women are more likely to die from stroke. Some risk factors for stroke can be altered, treated or controlled. For patients with a family history of brain aneurysm, a CT angiogram may be considered. 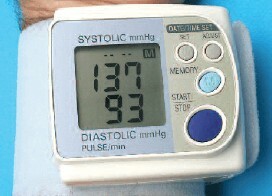 Although high blood pressure is one of the leading causes for stroke, it is the most controllable risk factor. Cigarette smoking, obesity, heavy alcohol consumption and inactivity are lifestyle patterns that, when addressed and modified, reduce risk. Health conditions such as heart disease, atrial fibrillation, diabetes, sickle cell anemia and peripheral artery disease also increase risk. Fewer Americans die from stroke or stroke-related complications than just 20 years ago, largely due to increased public awareness, our ability to control some of the major risk factors and improved medical treatment. An educated understanding of the risk factors and warning signs is having a positive impact on preventing and treating this disease. The post Stroke Awareness and Prevention appeared first on Specialdocs Consultants.